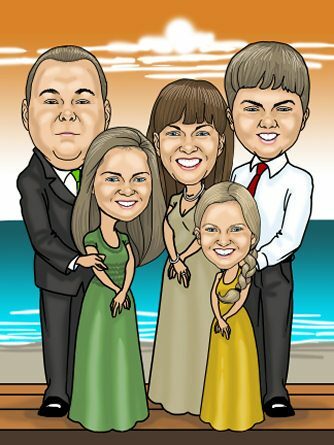 If you cannot get your family together for a fun group image, our skilled artists undertake commissioned art for family caricatures based on your supplied photos and ideas. 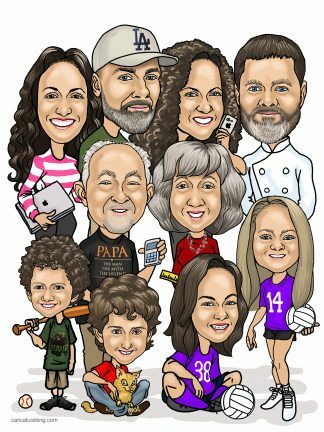 Because we deliver your caricature by email, ready to print,(print options available) everyone in the family can have one! 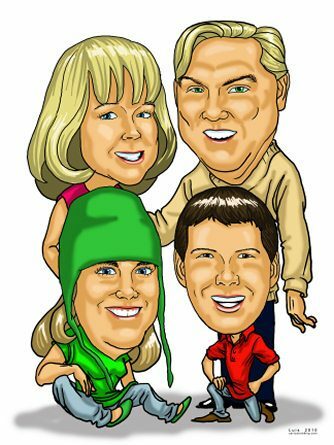 This makes our caricatures very affordable family gifts! We don't need everyone in the same source picture. Our artists create amazing art from several photographs. 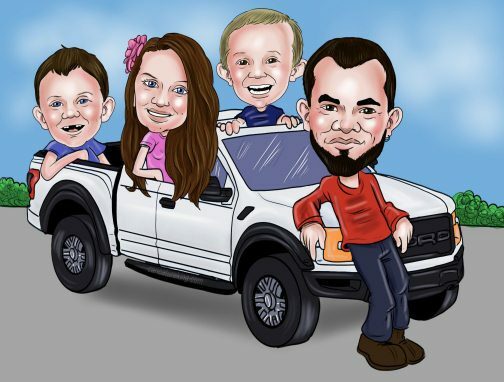 This means we create a whole new situation to portray family members in a fun way that shows their personality and interests. Want big head and little body? We can do that. Funny poses and interesting scenes, we can do that to! You receive a draft/proof so you can see the artists concept and this also provides you with the opportunity to fine tunes aspects of the image. You get Personal Service the whole way through! 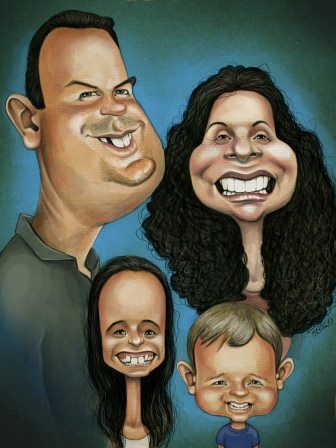 Prices are determined per person, with discounts when there are more than two people in the caricature. If in doubt, here is the ordering process explained. Contact us for a quote for 7 or more people and we will come back with our most competitive quote. Please note that art is a valuable skill - big groups will require a reasonable budget. 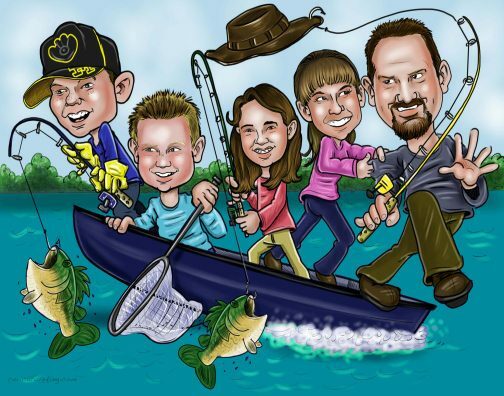 Shown here are custom caricatures samples from just some of our artists. 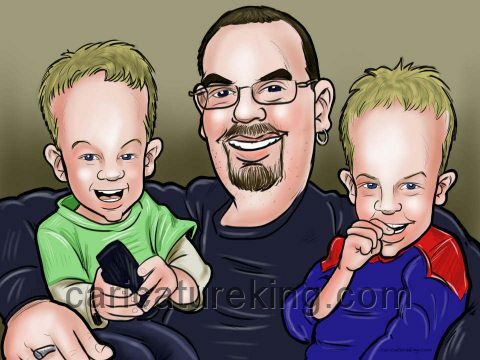 All artists are happy to undertake family caricature commissions. Contact us for a quote for 7 or more people and we will come back with our most competitive quote. For 7 people heads and shoulders will cost a MINIMUM of US$200. Full bodies double that. Please have reasonable expectations. 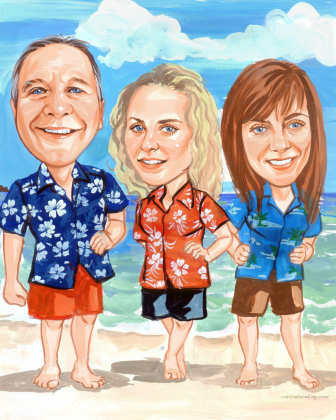 Shown here are custom caricatures samples from just some of our artists. 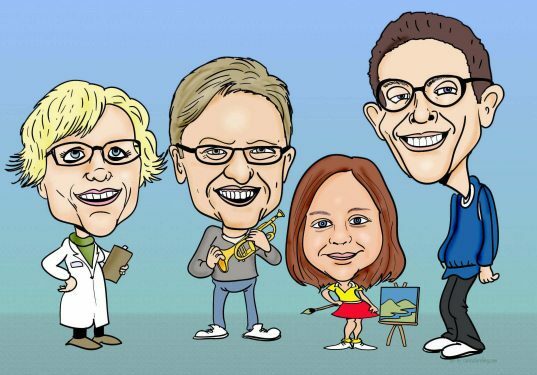 All are happy to undertake group caricature commissions. 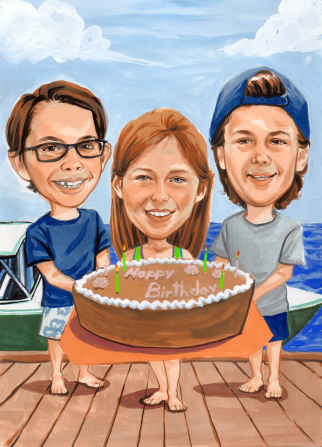 Click here to see more samples of artists work. Get a discount coupon instantly on subscribing! 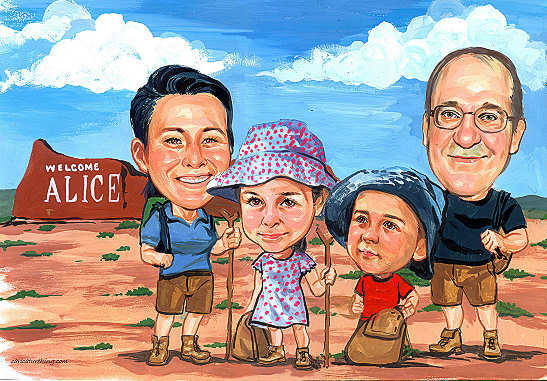 Matt, Superb work. Exquisite in every detail. 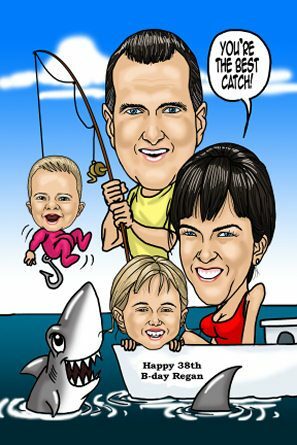 Luis is certainly talented, please extend my gratitude. Your delivery time is unbeatable. I will certainly come back for more soon. 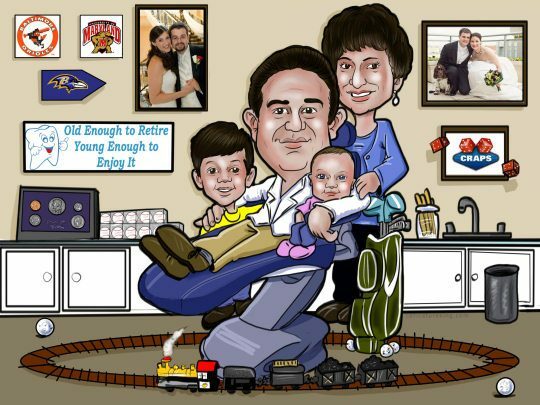 Regards, Abner R.
My family Loves it! Thank you Matt and Keimo, Leo Hayes Sr.